What Will Auto Insurance Cover? Auto Accident Attorney Recommendation – What Will Insurance Cover? When a client comes to my office after they were involved in an auto accident, I often request their “Insurance Declaration Page”. This document will show every type of coverage that my client’s insurance carrier will cover in the result of an accident. If you are at fault in an auto accident, you are “liable”. If the not-at-fault party makes an injury claim against you/your insurance, and if you have the minimum coverage of 15/30, the insurance will only pay a maximum of $15,000 to a single injured person or a maximum of $30,000 if more than one person was injured. If the injured party’s claim is worth more than that amount, you can potentially be sued personally and be on the hook to pay a settlement or court judgment for any amount over what the insurance pays out. Even if a party is not injured, but you are at-fault, you or your insurance can be responsible to pay for the damage to the other vehicle. If you have the minimum required by law, $5,000, and if there is more damage than $5,000, you can be personally responsible for any amount over your insurance coverage. If you were the victim of a hit and run, and the accident was not your fault OR if you were hit by a vehicle that was uninsured, this provision of your auto insurance would cover you. This coverage isn’t found on every policy, but your insurance carrier will have you sign a waiver of UM coverage, if you decline this coverage. It is highly recommended that you purchase this type of coverage so that your medical bills as well as pain and suffering can be covered in the event you are the victim of a hit ‘n run or if you were hit by an uninsured motorist. Underinsured motorist would apply only in certain circumstances when your injury claim is worth more than the insurance coverage available by the other party. Regardless of fault, this coverage covers you or your passengers medical bills incurred in an accident. Some policies require this to kick in only after your health insurance is exhausted, aka: “Excess Med-Pay”. Some policies have reimbursement provisions. If your car was involved in an accident – whether you were in the vehicle or not, “collision” coverage will pay for the repair or replacement of your vehicle. If an uninsured vehicle hit you, the UM coverage will not pay for the damage to your car. You would need collision coverage. Comprehensivecovers you in the event your car was stolen. 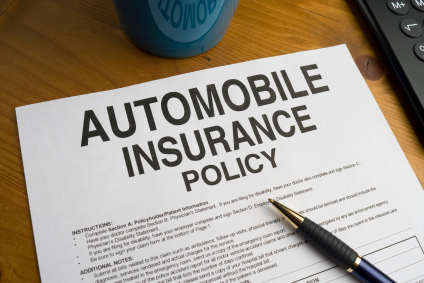 Other provisions of an auto insurance may include policy: rental, roadside, towing, “uninsured deductible waiver”. If you were injured in an automobile accident, make sure to call our office to discuss your policy so we can assure you utilize the coverage allowed under your policy.